If you follow Reese Witherspoon on Instagram, you know she loves to read. In fact, “love” might be too mild a word to describe this voracious bookworm. She founded a production company so that she could amplify the voices of female novelists and non-fiction writers, turning their books into films. She has a social media-based book club, where she encourages her followers to read her new favorite books together. (Watch out, Oprah. Just kidding, they’re genuinely friends.) Today, in honor of Reese’s birthday, we’re celebrating our very favorite literary roles from her resume. These roles range from the silly to the serious, but one they have one thing in common: they’re all excellent books. And honestly, we expect nothing less. 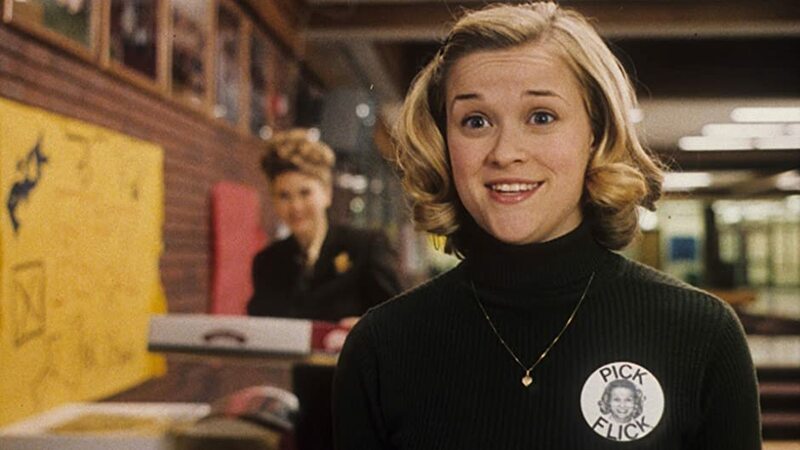 Reese Witherspoon’s first literary role was Tracy Flick in Election, a high school revenge comedy based on the Tom Perrotta novel of the same name. Reese’s Tracy Flick, a high school student running unopposed for student council president, plays opposite Matthew Broderick, a teacher with a personal vendetta against Tracy. Determined to not let Tracy win without a fight, Mr. McAllister convinces Paul, a popular football player, to run against her. The result is a satiric dark comedy about our political system – our high school political system, that is. When Reese Witherspoon announced that her production company would be turning Cheryl Strayed’s novel Wild into a movie, we lost whole hours of our lives punching the air in excitement and refreshing our browsers for casting notices. Casting herself as Cheryl not only was a fitting start to her producing career, it was spot on. We could watch her hike the Pacific Crest Trail for hours – and we did! In fact, just writing this makes us want to watch Wild again or plan a trip up the California coast. The film is just that gorgeous. We’re counting down the days until the return of Big Little Lies, but in the meantime let’s just marvel in the incredible first season of this show. The opening credits alone should win every Golden Globe out there. And again, we love that she approached this project as a fan of the book, an actor, and a producer. She’s perfect as Madeline Mackenzie. She even makes us feel anger towards Adam Scott – a feat we though impossible. Bring on season two! We’re cheating a little bit here because as of this writing, A Wrinkle in Time hasn’t even hit theatres. But we’re confident that we’re going to love Reese in this reimagined adaptation of a classic novel. 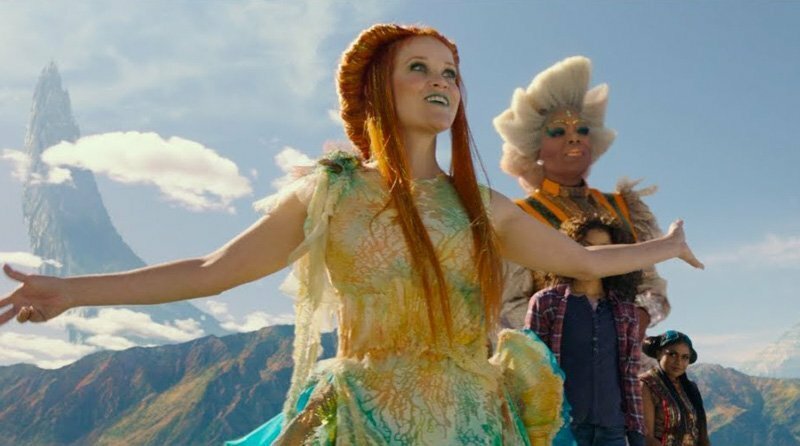 (We have a lot of nostalgic feelings about A Wrinkle in Time and if Ava DuVernay wanted to reboot all of our favorite childhood novels, we would be thrilled.) We’re eagerly awaiting Reese Witherspoon’s fantasy turn as Mrs. Whatsit. In the meantime, we’ll be reading and rereading the Madeline L’Engle novel. This news is so new we don’t even have a release date, but Reese and the inimitable Kerry Washington just announced that they’ll be starring in and coproducing a limited series adaptation of Celeste Ng’s Little Fires Everywhere. We don’t know much, except that the novel is stunning and everything Reese produces these days is incredible and really what more do you need? This is a project to keep tabs on for sure.